Brindisi Aeroporto del Salento as it is formally know is situated less then 5 km from the city of Brindisi. It servers up to 2 million passengers each year mainly from the low fares airlines, Ryanair, easyJet, Vueling and Alitalia. Brindisi Airport Car Hire Network provides cheap car hire from the following rent a car companies, Maggiore, Avis, Budget, Europcar, Locato Auto, Scily by car. Situated on the heel of Italy Brindis is a wonderful area to explore taking in Bari, Naples and Sicilia. One way rentals available if you are flying out of a different airport. 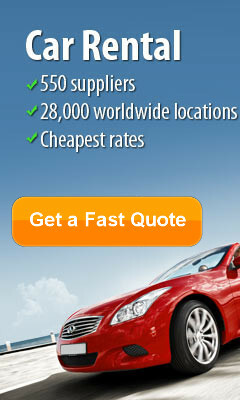 Choose from VW Golf convertible, Fiat, Ford Focus, Fiat 500, Ford Mondeo or an Alfa Romea . 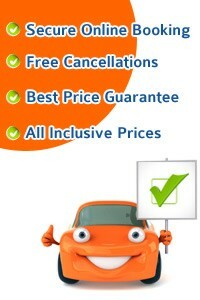 Take this opportunity to get the best car rental deals in Brindisi... CHEAPER. 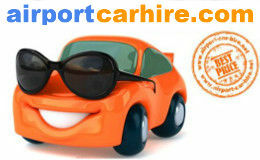 You can rent a car at Brindisi airport or in the nearby city of Brindisi. Grande Albergo Internazionale Grande Albergo Internazionale is right on the seafront in the heart of Brindisi, a few stops from the city's international port. Guest rooms come with free internet and Sky TV. This elegant property dates back to the early 1800s. It is just 10 metres from the sea. The 4-star hotel features a lounge bar and breakfast room where you can enjoy a Mediterranean buffet breakfast. Grande Albergo Internazionale has a 24-hour porter and modern conference facilities with Wi-Fi access. Palazzo Virgilio, Corso Umberto I 141, 72100 Brindisi The design 4-star Palazzo Virgilio offers free parking and stylish rooms with light-wood furniture, free Wi-Fi and an LCD TV. It is just 100 metres from Brindisi Train Station. Rooms at Virgilio come with air conditioning and soundproofing systems and have light colours and either carpeted or wooden floors. Tea and coffee making facilities complete the in-room services. Palazzo Virgilio is a 5-minute walk from the city’s historic centre and 1 km from Brindisi Harbour. Brindisi Papola Airport is 15 minutes away by car. Hotel Orientale, Corso Garibaldi, 40, 72100 Brindisi Hotel Orientale is set in the historic centre of Brindisi just 500 metres from Brindisi Railway Station and 250 from the harbour. The seaside is also nearby. Hotel Orientale is set on Corso Garibaldi, a street full of stylish boutiques, shops and restaurants. Many rooms overlook this lively street. All rooms come with SKY TV channels. The rate comprises a rich buffet breakfast, served until 09:30. In this welcoming environment you can find an entire floor reserved for smokers only, and modern conveniences such as free Wi-Fi, private car park and meeting rooms. Kelina Hotel, Piazza Aldo Moro 26, 72020 Cellino San Marco Set in a historic 18th-century building in the heart of the historic centre of Cellino San Marco, Kelina Hotel offers free parking and air-conditioned rooms with free Wi-Fi. Rooms at Hotel Kelina have their own balconies and a classic design with stone walls and tiled floors. You will also find a bathrobe and slippers, plus a minibar and TV with cable channels. The hotel has excellent bus links around Salento, with Lecce a 30-minute drive away. The nearest beach is 10 km away, while Brindisi Airport is 40 minutes away by car.